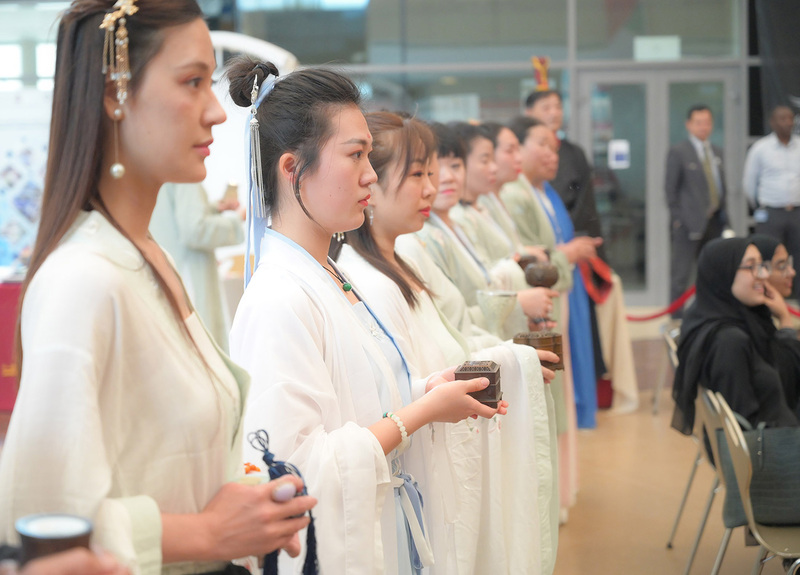 The Chinese Confucius Institute, located at Zayed University, has recently entertained students and faculty members with Traditional aromatic Incense arrangement displays, associated rhythmic dances, and the ancient Han Dynasty Chinese cha (tea) preparations. 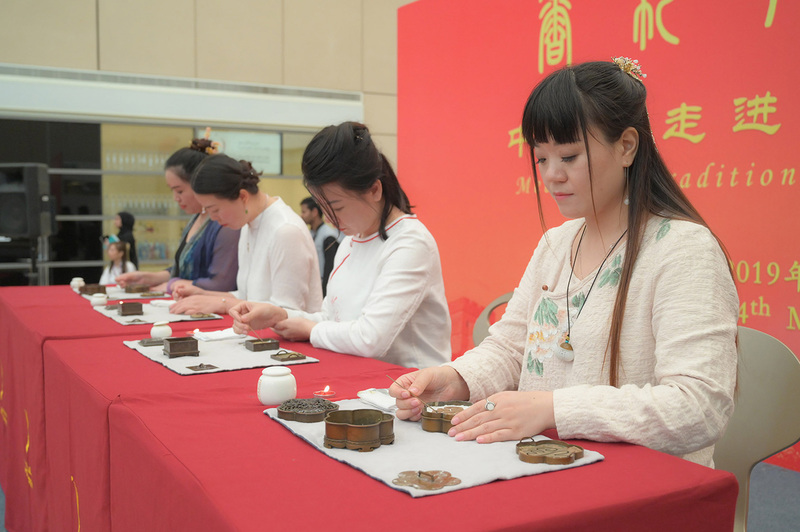 Incense arrangement blends a traditional hospitality gesture, which was adopted by both Emirati people and the People's republic of China, over the past centuries. Locally known as (Bakhoor), the moistened aromas rejuvenate energy, heartiness, and increments positivity. 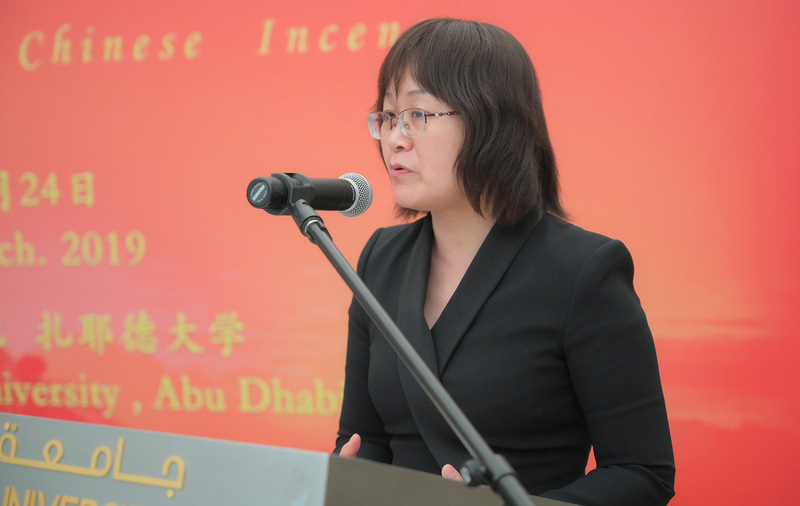 Du Wei, Associate Director of Confucius Institute, addressed the audiences during the 'Traditional Chinese Incense Day' which was organized at the Zayed University Promenade by the Institute, with kind words of Chinese wisdom. "The UAE and China have a great relationship; both are bond with major strategic partnerships. That's why it's such a great honor for me to be here in Zayed University to teach our language to Emirati students and the community and spread knowledge about our culture and heritage," she said. 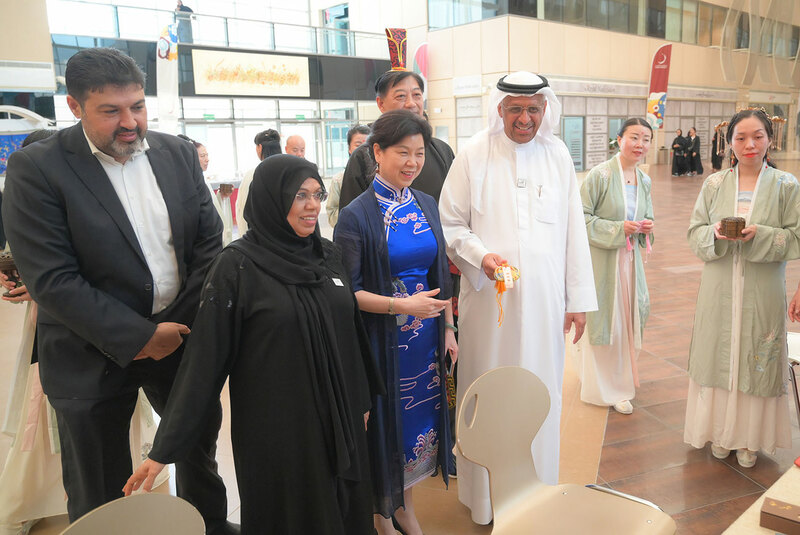 "Today we stand with our brothers and sister within this kind land, the UAE, to spread Chinese positive energy as we celebrate Zayed University's Happiness Day festivals," Du said. "In spite of our similarities, it is quite vital for both cultures to mingle and further experience traditional disciplines. 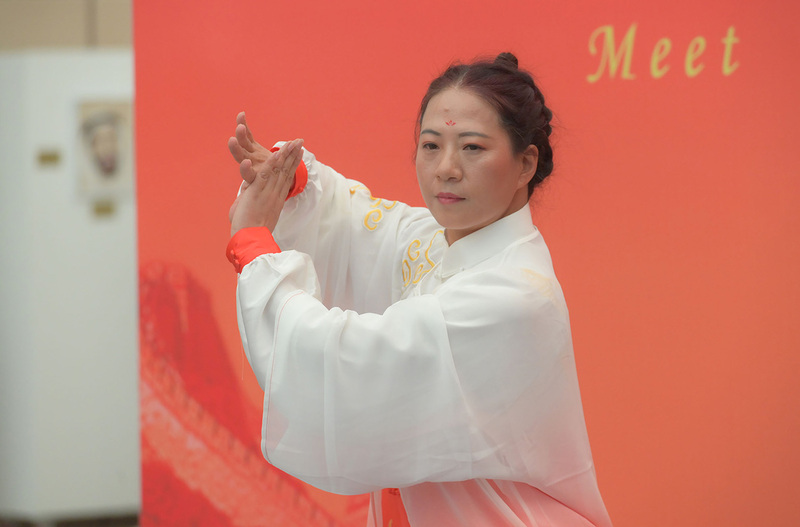 And in Incense, the UAE culture, and the Chinese come together as igniting equals. We both have a deep connection to its essence, and profoundly apply it in our daily life." Incense is an odorous biotic material that releases fragrant haze when burned. Incense is handled for aesthetic purposes, therapy, meditation, and ceremony. It may also be applied as a little deodorizer or insectifuge. 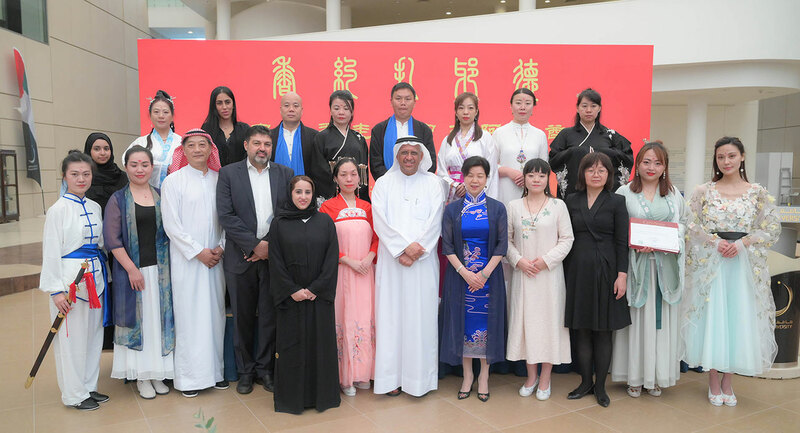 The event was attended by Prof. Reyadh Al Mehaideb, Vice-President of Zayed University, and Prof. Baopoing Shi, Director of Beijing Jingxi Hanfang Medical Research Institute, Cheif Specialist of Hanfang Fragrance Research Center, and Dr. Fatima AlDarmaki, Dean, Student Affairs Deanship, Omar Alfandi Assistant Dean for Students Affairs.